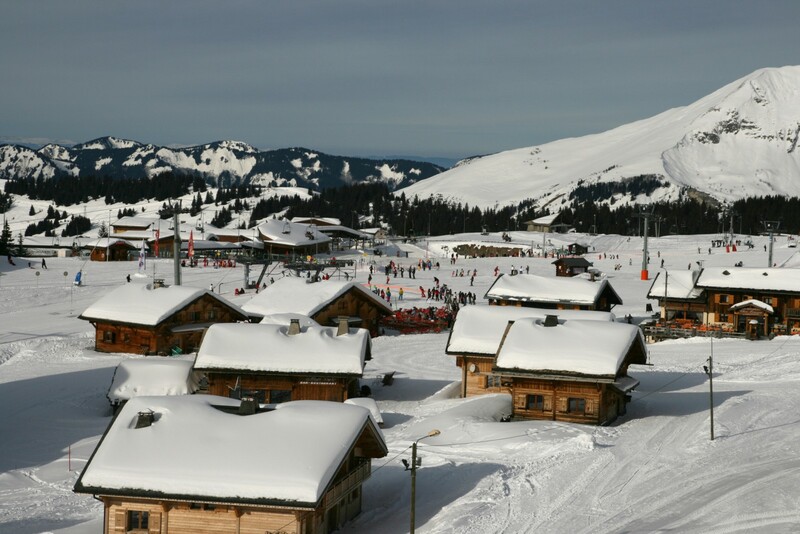 Located in the exact centre of the Portes du Soleil ski area, Avoriaz (1,800m) offers a whopping 650km of terrain. The high slopes are snow-sure, the lifts are reliable and high-tech, and there are (count them) five snow parks and a super-pipe. 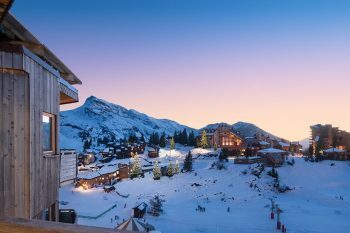 Avoriaz is a modern resort and is completely pedestrianised; sleds and horse-drawn sleighs are the norm, as is skiing back to your chalet. Avoriaz isn’t a top resort for après-ski or energetic nightlife but it is near Morzine, which has more choice of bars and restaurants. 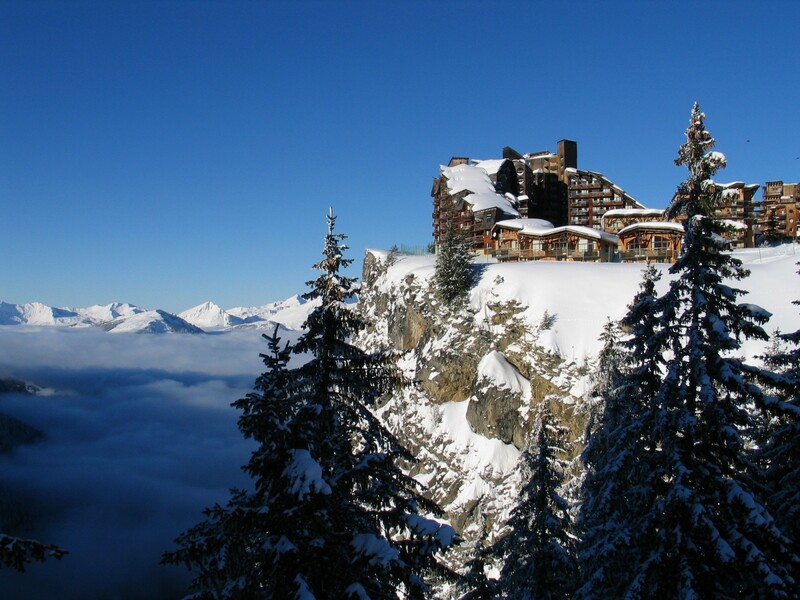 Avoriaz is a mecca for skiers and snowboarders looking for ski-in, ski-out catered chalets. 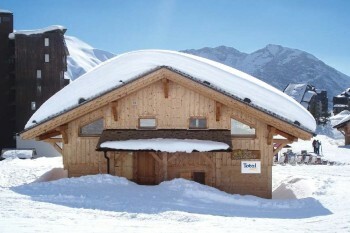 Almost every chalet we feature is in a true ski-to-the-door location. 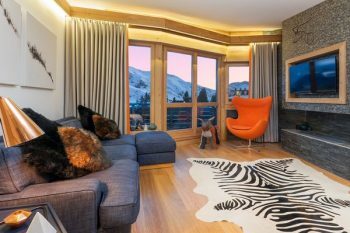 There aren’t too many catered ski chalets in Avoriaz and they’re very popular, so we’d recommend booking early. Avoriaz is part of the vast Portes du Soleil ski area. It is the highest resort in the region, making it a top choice for skiers looking for snow surety. The resort is purpose-built and by no means pretty, although it is certainly impressive being perched on the side of a cliff overlooking neighbouring Morzine. 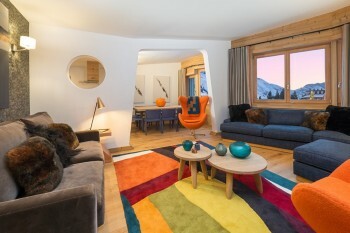 Whilst it doesn’t offer aesthetic value, it offers ski convenience in spades. 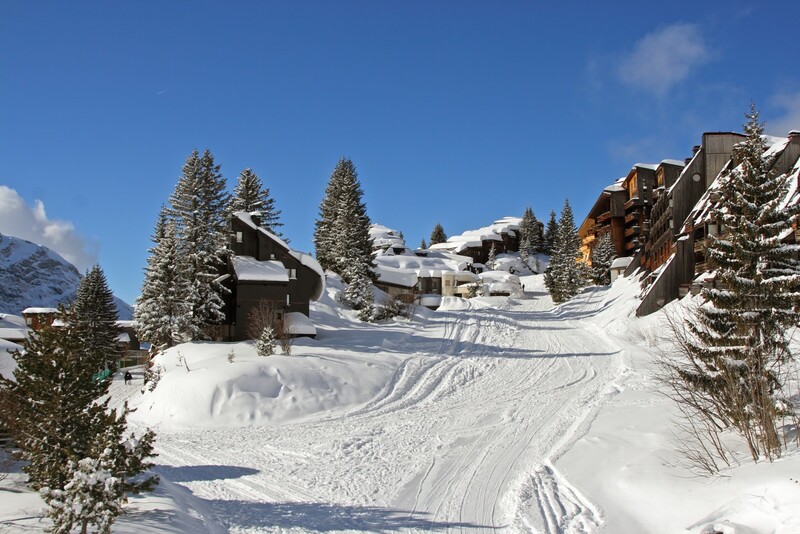 Car-free Avoriaz is a great choice for a family ski holiday, not only because there are no vehicles, but because in their place there are gentle nursery pistes – perfect! The transfer time is short and therefore hassle-free, thanks to its proximity to Geneva airport. There’s also a fantastic indoor water park, a bowling alley and a cinema, plus all the normal winter activities you’d expect. Avoriaz is very much a high altitude alpine ski resort. The village itself is just about on the treeline, anything above the resort does feel a little bleak and is almost un-skiable in inclement weather. Head below the resort though, and you find yourself in a pine forest winter wonderland. The sheer amount of skiing on offer is reason enough to visit, with over 650km of pistes included on the area pass including several resorts over the border in Switzerland. There really is something here for everyone. Avoriaz has 17 chairlifts, two cable cars and 14 drag lifts. There are four green pistes, 25 blue pistes, 14 red pistes and six blacks. You won’t find many better. Leave the chalet, pop your skis on, and off you go. There is a great nursery slope that runs through the village and several easy blue runs just above. A wonderful choice; there are plenty of blues and reds all over the ski area. We love the skiing in and around the Lindarets area, lovely wide open cruising pistes. The first place experts head to is the “Swiss Wall”, a 40-degree mogul field which is not for the faint-hearted. The second place they head to is the Secteur Chavanette, a large bowl just above Avoriaz itself. The area is not pisted but it is patrolled. On a good snow day, you won’t want to venture anywhere else thanks to the various natural drops and jumps. For those looking for a snow park, there are very few better than Avoriaz thanks to the choice it offers. The Arare snowpark is a large and traditional snowpark full of kickers and rails. 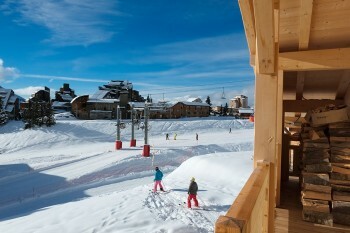 Just below Avoriaz is “The Stash”, a natural park filled with wooden rails and features designed by Burton. Avoriaz certainly can’t compete with the likes of Val d’Isere, Meribel or even Morzine just down the valley but it does have a few bars that are great for a couple of drinks after skiing or in the evening too. As Avoriaz is pedestrianised, it’s easy to wander from bar to bar. Try out Shooters Bar, Le Yeti or the Globetrotters. In terms of restaurants, Avoriaz mainly offers typical Savoyard fare. Think tartiflettes, fondue and raclette. Most of the restaurants are family-friendly and provide kids’ choices, and there’s a good selection of cafes and bakeries. 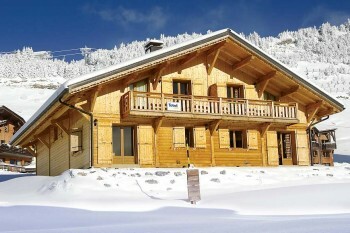 A "chocolate box" freestanding wooden chalet, found right on the piste. 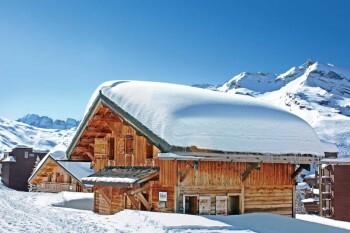 A stand-alone wooden chalet right on the piste in a brilliant ski-in, ski-out location.